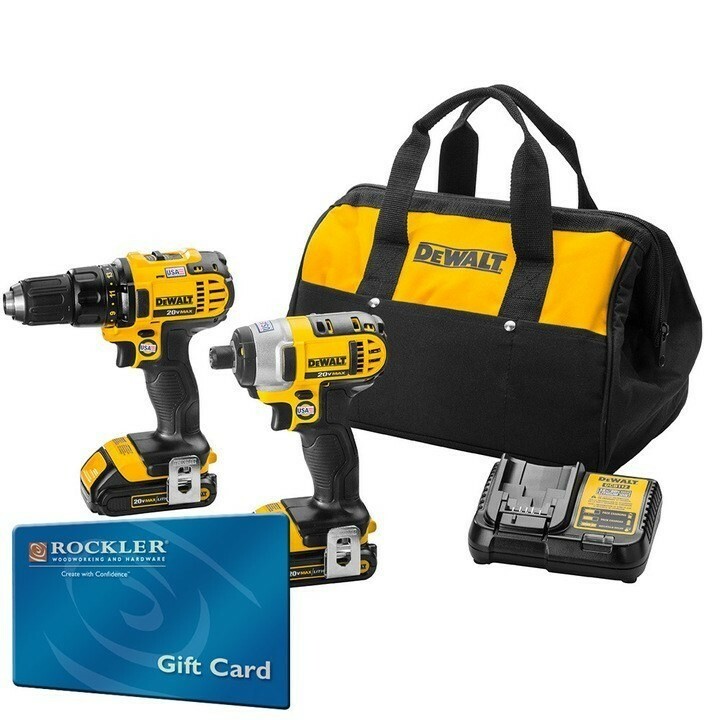 For a limited time while supplies last, Rockler has the DeWalt 20V MAX Li-Ion Compact Drill/Impact Driver Combo Kit (DCK280C2) for sale for $250 and it comes with a FREE $150 Rockler Gift Card. If you subtract the value of the gift card, you get the Drill?impact keit for only $100. This same combo kit sells for $199 at places like HomeDepot and Amazon. I love shoping at Rockler, so would use the $150 easily.